Now-a-days Latinos is a word heard all over the U.S. simply because it is a growing population, and have actually become the majority of the population in some U.S. states such as California and Florida. There are also cities with a large Latino population for example Chicago, Houston, Miami, and Los Angeles which also happen to be major market cities. Since I reside in Chicago, I confirm that the city has a significantly large Latino population. There are neighborhoods like Little Village, Pilsen, Cicero, and Berwyn that have dominant Hispanic residents. Latinos are people who live in the Western Hemisphere and speak romance languages such as Spanish, Portuguese and French. 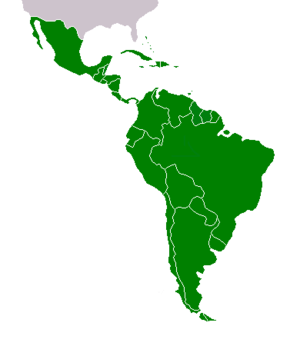 Latinos come from North America, Central America, the Caribbean, and South America. Listed below are 24 Latin American countries.